The candidates are expecting to have a good track record in publishing journal papers, strong experimental experiences and experiences in computer programing (preferable). The annual salary will be no less than 200K Chinese Yuan (equivalent to 31K USD) and the Nankai University will provide Post-Doc apartments （free of charge）. 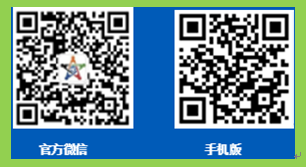 Top kindergarten and Elementary school at Nankai will be available to children of the post-doc fellows. The Centre is an international joint research institute established by the collaborative efforts of Nankai University, Canada Water Technology Exchange (“CWTX”), People’s Government of Tianjin Binhai New Area (“TBNA”), and China Association for International Exchange of Personnel (“CAIEP”). Founded in 1919, Nankai University is a key comprehensive university supported by “985” and “211” programs by Ministry of Education, China. The Centre is based on the college of environmental science and engineering. The college’s precursor, the department of environmental science, first established the discipline of environmental science in China in 1983 for comprehensive universities. According to ESI statistics in 2013, the discipline of environmental science in Nankai University ranked top 1% in the world. A network of 37 premier professors/experts in water and environmental engineering from 22 universities across Canada will work for the Centre. They include 5 Fellows of Canada Academy of Engineering, 2 Fellows of Royal Society of Canada and 8 Research Chairs. The Centre will work towards making breakthroughs in water and environmental innovation and playing an important role in international technology transfer, training of talented experts and building international scientific research teams. The Centre will carry out collaborative research and advanced technology transfer on water and environmental safety in areas such as water/waste-water treatment, urban river restoration, groundwater /soil remediation, clean production and eco-material development, smart monitoring systems and other related areas. Please send your Curriculum Vitae and the contact information of your 3 references to Ms. Victoria Yu at scwe@nankai.edu.cn. Please title your email by “University-Research Area--Name”. We will invite eligible candidates to attend the interview after the preliminary screening.